Update: I posted this post on Aug 21st hoping that everybody would wish Hard Disk happy birthday, but since people forgot to greet hard disk I thought of bringing this post up (today is Hard disk drive’s birthday) so that every one could wish hard disk a happy birthday. Come September 13th, our good old hard disk drive becomes 50 years (Golden Jubilee). 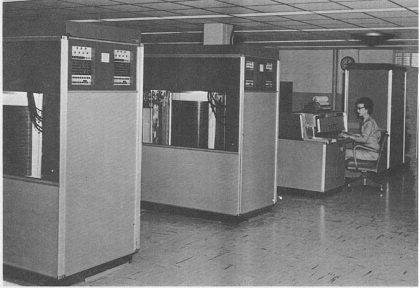 On September 13th, 1956 IBM introduced world’s first hard disk drive known as IBM 350 Disk File. The amount of data that this hard disk could store was only 4.4 MB which was considered massive in those days. Now days even 1 Terabyte (1 TB) is not sufficient for the multimedia content we possess. The 350 stored 5 million characters (about 5 megabytes). 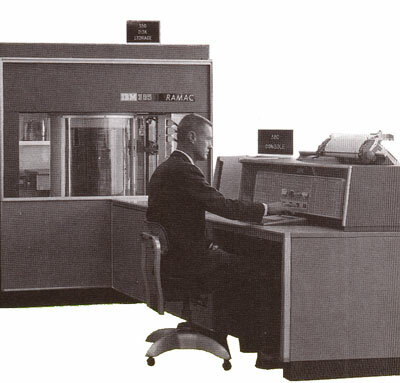 It had fifty 24-inch diameter disks with 100 recording surfaces. Each surface had 100 tracks. The disks spun at 1200 RPM. Data transfer rate was 8,800 characters per second. Two independent access arms moved up and down to select a disk and in and out to select a recording track, all under servo control. The 350′s cabinet was 60 inches (approx. 1,52 meters) long, 68 inches (approx. 1,72 meters) high and 29 inches (approx. 74 centimeters) deep. IBM had a strict rule that all its products must pass through a standard 29.5 inch (approx. 75 centimeters) doorway. Since the 350′s platters were mounted horizontally, this rule presumably dictated the maximum diameter of the disks. Well I wish Hard Disk Drive a Happy Birthday!!!!! Please wish the hard disk drive on account of its birthday.